Nduja is a soft, spreadable, fiery Calabrian sausage that has a flavour which isn’t a million miles away from something like a chorizo picante, but with a richer, deeper flavour thanks to the combination of several different pork cuts (traditionally head meat, yum) and roasted hot red peppers. I actually ate Nduja twice last week in two separate places, some 200 miles apart, first at Pizza Pilgrims in London – then in one of my old haunts, Friends of Ham in Leeds. 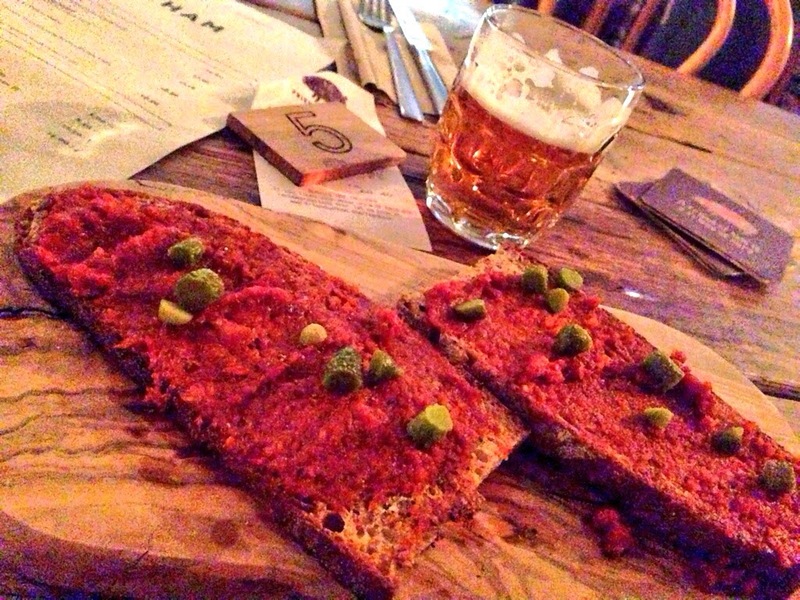 It was served very simply at Friends of Ham as Nduja Toast – which consisted of two hot toasted slices of sourdough generously spread with thick, fiery Nduja sausage, before being sprinkled with a few chopped cornichons. Simplicity itself and insanely moreish. Give it a try with their house ‘Ham Pale Ale’, a hoppy but not overly bitter American Pale Ale, brewed by local brewery Summer Wine. I’m hoping to make ‘Current obsession:’ into a bit of a recurring post, featuring short, sharp snapshots of what I’m really enjoying eating or drinking right now. But who knows, maybe I’ll forget all about it.